Ford is the latest to ramp up electric-vehicle production with a deal in China. But the industry relies heavily on the Democratic Republic of Congo for a crucial battery material. Drought, abysmal infrastructure and conflict could put ever-increasing supply needs at risk. 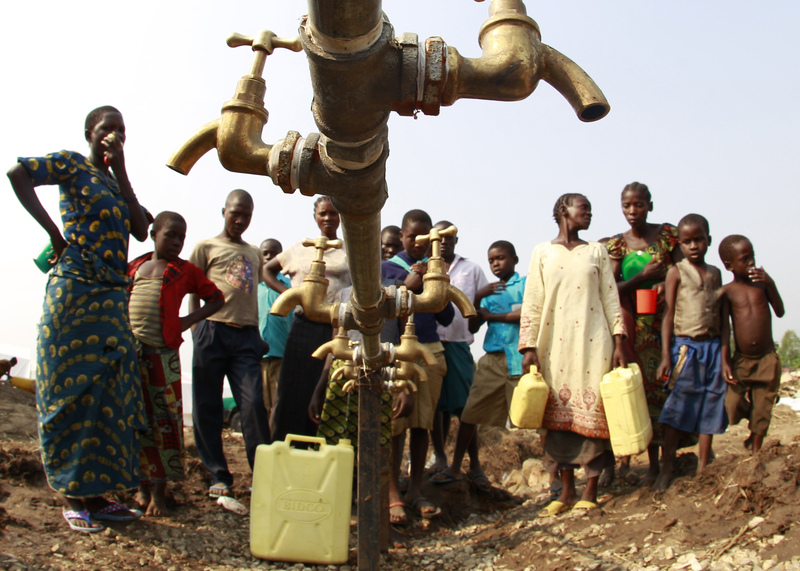 Congolese refugees, displaced by fighting between the Congo army and rebel group Allied Democratic Forces (ADF) last week, gather around dry water taps at Bukanga transit camp in Bundibugyo town camp, 376km (238 miles) southwest of Kampala July 17, 2013. World Water Week got underway in Stockholm on Aug. 27. The event, organized by the Stockholm International Water Institute, brings together more than 3,200 people and almost 400 organizations including companies, investors, governments and non-governmental organizations. It continues until Sept. 1. Ford Motor on Aug. 22 signed a memorandum of understanding with Anhui Zotye Automobile in China to explore setting up a joint venture to produce, market and service a new range of all-electric passenger vehicles. Anhui Zotye is already a major manufacturer of zero-emission all-electric vehicles in China.